I bought my Samsung laptop well over a year ago, and it came running Windows 7. Despite having the most awful keyboard I have ever used, I’ve stuck with it because the Core i5 is pretty decent, and it’s got plenty of storage for all my music and I’m not going to shell out for a new laptop until this one gives up the ghost. Loosing 20% of your battery capacity might be fine around the house, but sometimes I do like to take my laptop out and so I really wanted to be able to configure this. Even forcing Windows to install meant the app would run but wouldn’t display correctly function at all, I guess Microsoft blocked it for a reason. 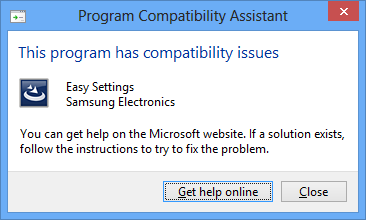 It turns out Samsung do offer a version of this tool for Windows 8, they just don’t make it easy to find. Version 2.1 works perfectly fine on NP300E5A model. 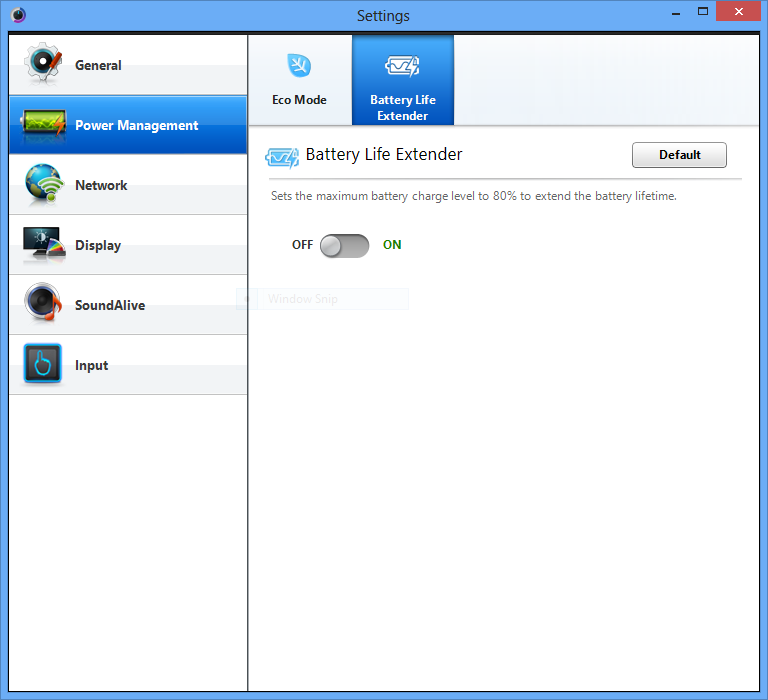 Before I could change any power management settings, I had to update my laptop’s firmware however. The link to the download was hidden away on this Windows 8 update page, so check your model is listed before performing any firmware updates! One nice addition if the ability to turn your laptop into a wireless Access Point (yes, Macs have had this feature for years I know, and it’s very useful).